As you may know, I had a yard sale this past weekend. I made a complete mess of my house. Everything went to the wayside and there was stuff everywhere. I had on my fitbit and in one day of bringing stuff down from the third floor, I clocked almost eight miles. I did that inside my house. More on that later. Saturday morning came and I had sold most of my stuff by 9:30. The interesting thing to me was the number of older women who kept asking me if they could buy my irises. Of course, I was thrilled to give them away. They all came from the gardens of dear friends. Isn't that how a Southern girl's garden grows? We ask our friends for clippings. I started with about forty iris from varying locations and I now have a few hundred. My first ones came from my momma's house and my friend Shelley. The next I plucked up when my parents sold my brother's house after he passed away. I pulled them up out of his front flower bed. I pulled a few from my dad's ranch. I took some from a neighborhood house where an older gentleman died making meth. They remind me to pray for my neighborhood. My heart is tied to my garden. As I work I pray for those I love. My grandmother always taught me that the iris needs to be divided. I figure that the best way to divide is to share. My momma taught me that you feed an iris with bone meal and blood meal. That sounds delightful, I know. 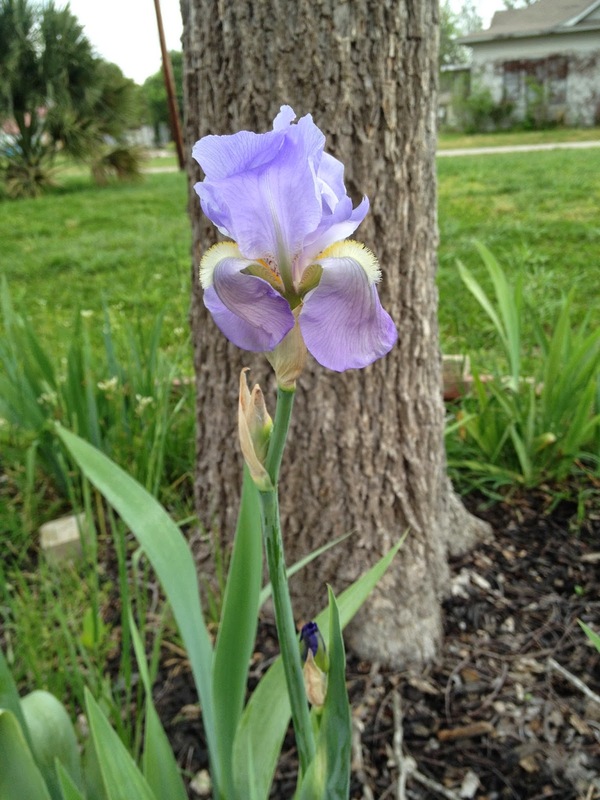 It works and apparently if I were to enter an iris competition, I'd have some of the most prized irises in the South. Eat your heart out. 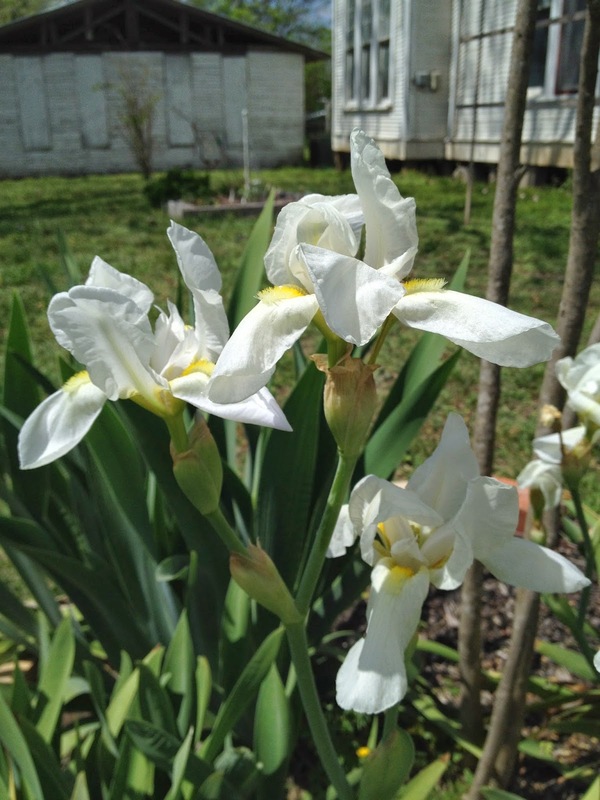 I mean, I live in a mansion with prize irises. Now, if I just had drywall on all of my walls. 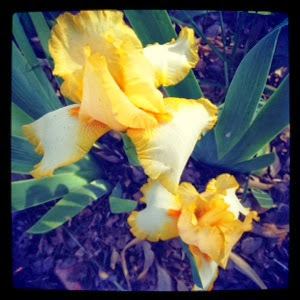 I love your story about the irises. I used to have a garden-full, but moved away and have another sort of garden. I remember dividing them and handing out yard bags full for friends and neighbors. . . really fun!